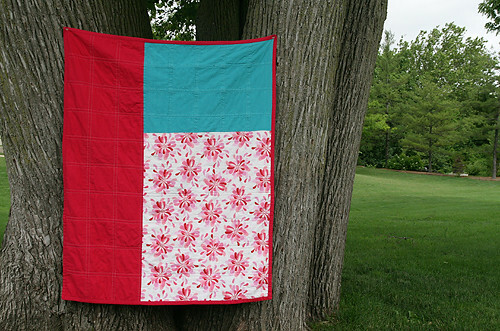 I am probably the last person in blogland to use Aneela Hoey's Sherbet Pips fabric. I just adore these little girls on swings. They remind me of my daughter on our tree swing in the backyard and that makes me smile. I decided to showcase that print and pair it with some coordinates from my stash. They include designs by Patty Young, Dena Designs, Liz Scott and Urban Chiks. 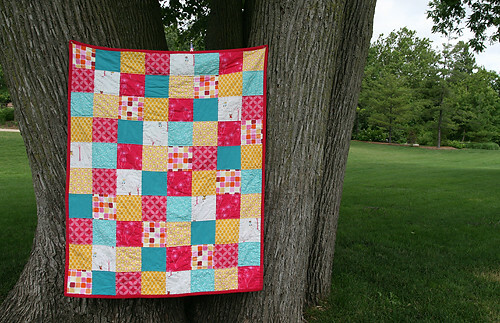 The turquoise solid is a Moda crossweave and so pretty. 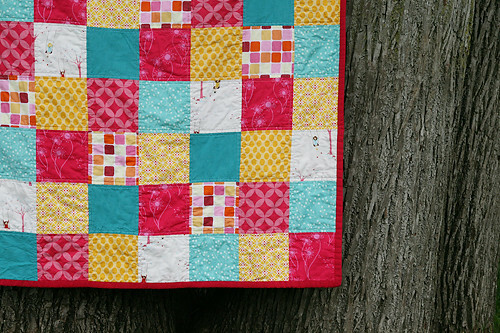 I really love the combination of yellow, turquoise, white and pink! 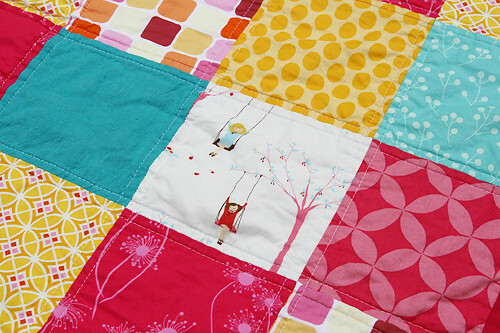 I went for a simple design, just 5 1/2" patchwork squares. 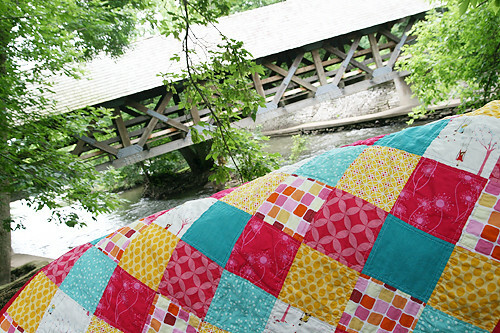 I quilted it 1/4" on each side of the horizontal and vertical seams. It came out of the dryer nice and poofy, a good quality for a child's quilt I think! The main print on the back is a floral from Sandi Henderson's Farmer's Market line. I was really hoping to use up some of my stash and I think it worked out well with this project. The final quilt size measures 39" x 47". 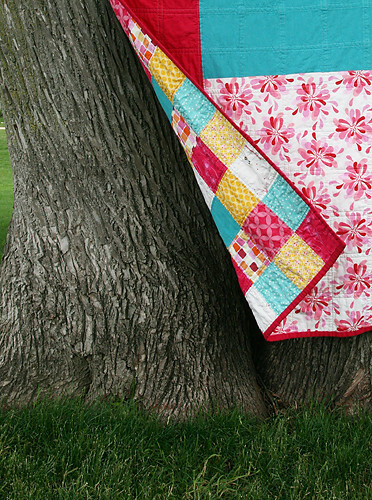 I think this quilt would make a lovely addition to a little girls room. It is listed in the shop!